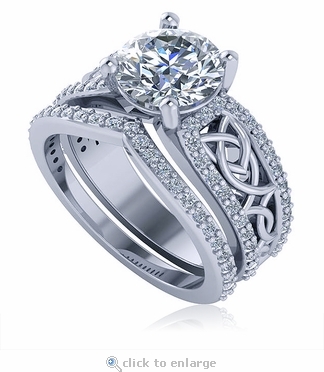 The 2 Carat Round Celtic Knot Pave Solitaire Contoured Matching Band Wedding Set features a 8mm round cubic zirconia center stone that is hand cut and hand polished to exact diamond specifications and beautifully set with five prongs. The shank is decorated with a Celtic cut out design, approximately three quarters of the way down both sides of the shank and outlined by shared prong set rounds. 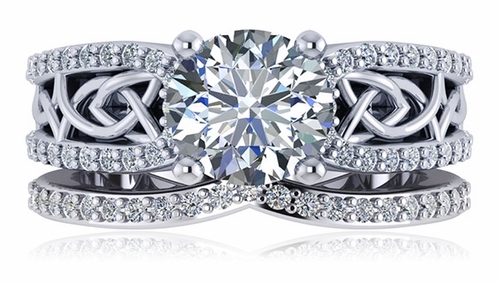 The Celtic knot design or trinity knot represents faith, love and eternity. There is no beginning or end. 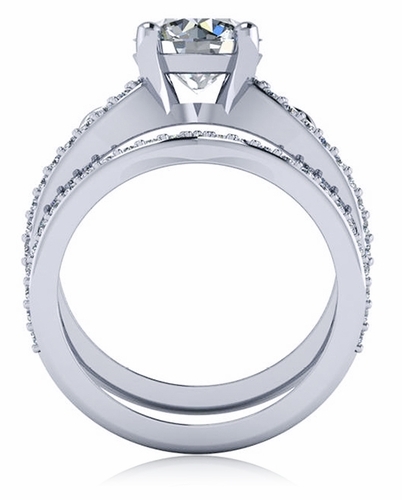 The contoured matching band perfectly enhances the solitaire with a single line of shared prong set rounds. 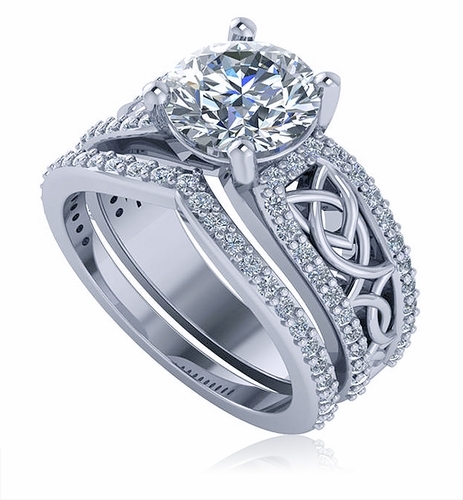 This wedding set includes approximately 2.75 carats in total carat weight. This ring is available in your choice of 14k yellow gold, 14k white gold, 18k yellow gold, 18k white gold and luxurious platinum. The option for 14k rose gold is also available, in addition to other carat weights. Whole and half finger sizes 5 through 8 are offered in the pull down menu, for additional finger sizes please call. For further assistance, please contact us directly at 1-866-942-6663 or visit us via live chat and speak with a knowledgeable representative.